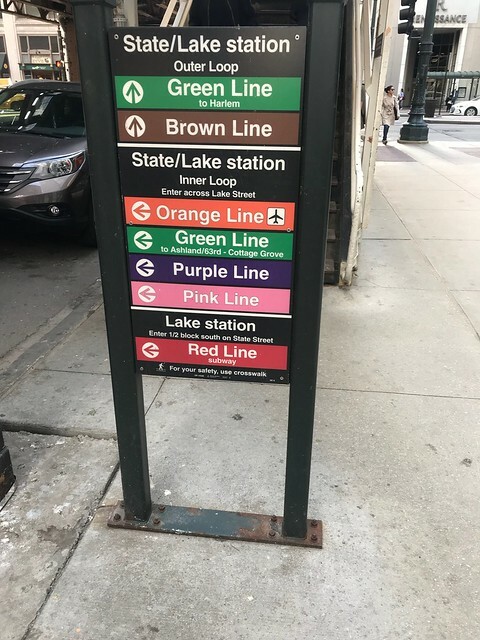 Each “L” train has a color and a destination. Your best bet for finding your way around is Google Maps — not only does it tell you where to get on and off, it provides up to the minute notifications of delays. The “L” is run by CTA, which also runs the local buses in Chicago. Personally I never used their buses but depending where you’re going it may make more sense. Both the “L” and the CTA buses take the reusable Ventra card which you can buy for $5 at any CTA ticket vending machine. If you register the card online you get your money back in $5 worth of transit credit on the card. You can either pay per trip or buy one of several day/multi-day pass options with unlimited rides. These passes are surprisingly inexpensive, particularly if you compare the cost to Uber or a taxi. If you’re not interested in buying day passes I’m told you can also pay with your phone if you have a phone that supports Apple or Android Pay. In practice I didn’t try this or see anyone else pay this way either. Tourists should note that the “L” goes to both Midway and O’Hare airports. It doesn’t go directly to Amtrak’s Union Station but there is an “L” stop a short walk away. Do be aware that the above ground “L” lines can be very loud — not so much inside the train but outside. You’ll definitely hear when they’re going over, particularly on drawbridges or around corners. This is something to consider when you’re looking for a place to stay or at the very least whether or not to bring earplugs. 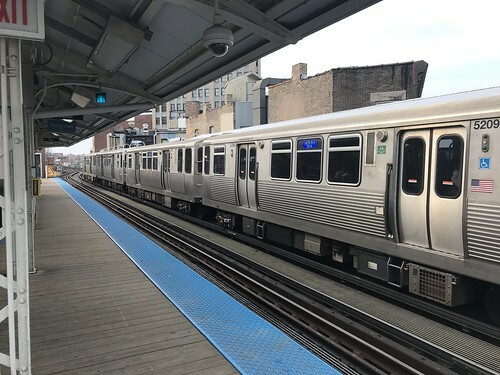 The “L” is such a defining feature of downtown Chicago that the neighborhood is called “The Loop” because of the circular above ground track loop. Additionally, both the red and blue lines go underground within The Loop. One unusual feature of above ground rail in a city filled with high rise buildings is you can often see right inside the buildings. I’m sure nobody would appreciate it if you brought binoculars to spy on office workers while waiting for your train. One block south of Millennium Park is a stately looking building housing the Art Institute of Chicago, an art museum with a vast collection of pieces from all over the world. From the street you might think it’s a small museum, but you’d be wrong. The building visible from the street is largely a facade; the majority of the galleries are in a sprawling complex of wings on the other side of the train tracks behind the entry building. 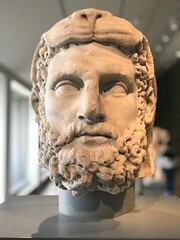 Broadly the museum is broken down into Asian, classic (Greek and Roman), European, American, and contemporary. That’s not a comprehensive list but it gives you an idea of the scope. I have to admit that due to the convoluted layout of the place I’m not sure exactly how much I was able to see. The sheer size of the museum is both a blessing and a curse, like an enormous yard sale where there’s some rare book on a table surrounded by broken Cuisinarts. 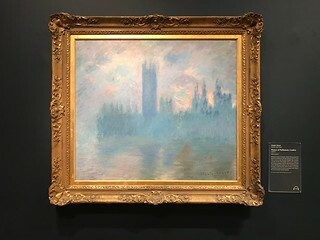 For example one room had a bunch of paintings by Monet that for some reason devoted an entire wall to paintings of haystacks. Then I turned a corner and found myself face to face with a small yet beautiful self portrait of Van Gogh. 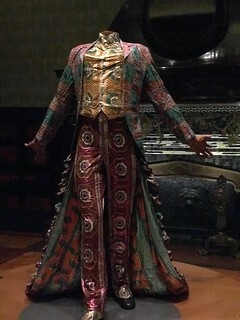 The biggest strength of the museum is how it can expose you to styles of art you’re unlikely to have ever seen before. On the flip side its biggest weakness is displays of art from the Art Institute’s associated school. 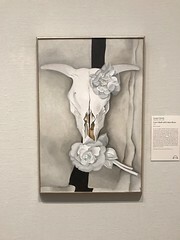 Don’t get me wrong, they have some fantastic staff and alumni — just their collection of Georgia O’Keeffe paintings alone would be considered a special exhibit at any other museum — but overall the selection of works from their own school seemed sloppy and haphazard. This part of the museum would benefit from a neutral third party curator much in the same way doctors aren’t supposed to treat themselves. 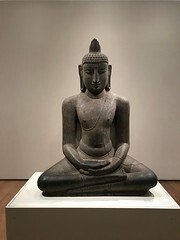 The audio guide tour can be rented or like many museums these days you can also get it for free simply by downloading the Art Institute’s app on your phone and bringing your own headphones. 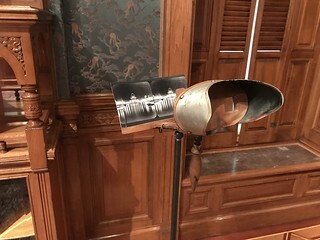 Only one or two works in each gallery have an audio guide component and those that do are always the highlights. 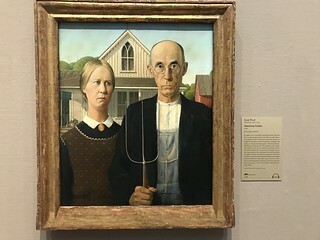 My recommendation: If you’re in Chicago and you’re at all into art, there’s almost certainly something you’ll enjoy at this museum. Perfect indoor activity for a day with uncooperative weather. 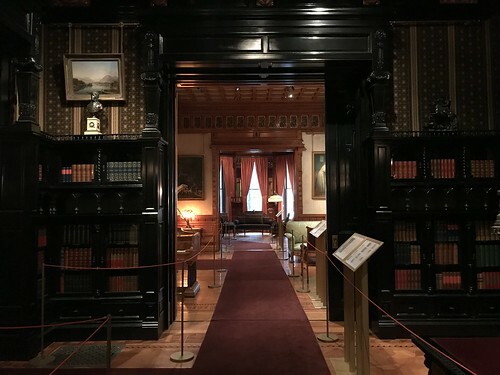 Originally built as a second home for the wealthy east coast Nickerson family, today the Driehaus Museum focuses on home life in the Gilded Age of America. I realize that’s a lot of description crammed into one sentence so let’s break it down. Sam Nickerson and his wife built their Chicago mansion about a decade after the Great Chicago Fire. As such it’s built with solid brick walls. 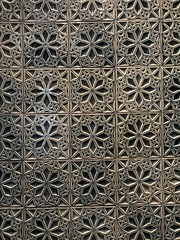 The interior is lined with pretty much every material you can think of; many types of wood, tile, fabric, and even a precursor to linoleum. When the Nickersons decided to move away, they sold their home at a steep discount to a friend. It eventually was converted into offices, and was most recently purchased by a different wealthy Chicago man, investor Richard Driehaus. Hence the name of the museum. 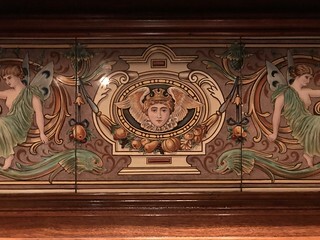 In the early 2000′s Driehaus had the property restored as much as possible to its original glory, with a mix of original furniture and period-appropriate furnishings from his own collection. 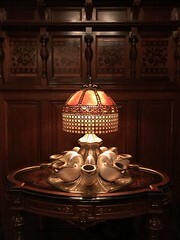 Throughout the home you’ll find everything from Tiffany lamps to (seemingly decorative) office supplies. 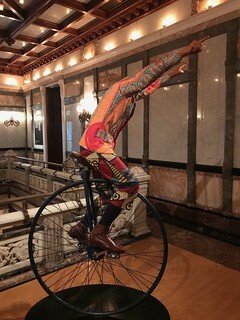 Additionally you’ll see special exhibits, which currently include a small exhibit about the 1893 Chicago World’s Fair, and a much larger exhibit throughout the museum by British-Nigerian artist Yinka Shonibare which broadly reinterprets elements of the era ranging from colonialism to Oscar Wilde. These will change in the future so check the museum’s website for up to date information on current exhibits. 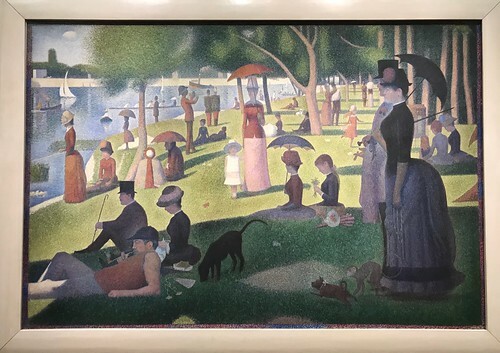 My recommendation: Such an eclectic museum seems like it should be an off the beaten path find, and yet it’s located on Chicago’s Magnificent Mile. If it sounds interesting I’d start by booking the hour long guided highlights tour and going from there — the tour includes general admission. Coat and bag check is free. 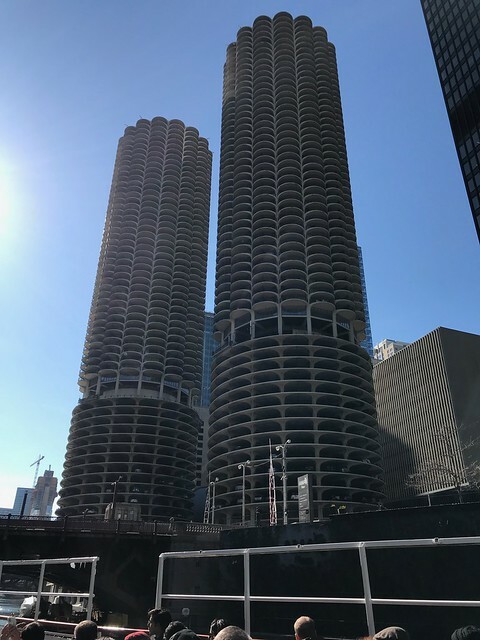 In Chicago I took a few tours that were highly recommended online. There’s something said for the wisdom of the crowds, these are all solid tours I enjoyed and would recommend as well if the subject matter interests you. 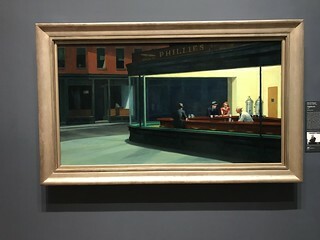 My first tour in Chicago was this “classic” food tour which focuses on various cuisines you can readily find in Chicago. 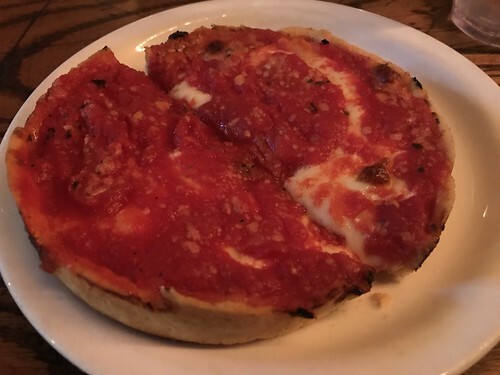 I don’t think it’s a spoiler to say that yes, Chicago deep dish pizza is included — and it’s the first stop. I’ve had deep dish pizza before (I mean, who hasn’t?) but this one was above and beyond anything I’d ever tried. As the only non-meat eater in the group I got a small pizza all to myself instead of “just” a big slice with sausage. Even though I arrived hungry I couldn’t finish the entire thing, it was too big and too rich. The most amazing part wasn’t the crust or the cheese — it was the crushed sweet tomatoes on top instead of a traditional sauce. Everyone had the same tomato topping. The other stops on the tour included a mix of local and international food, beverages, ingredients, and a classic local bar and BBQ joint. Since I don’t eat meat I can only vouch for the homemade BBQ sauce. The architectural component of the tour was cut short because, well, it was snowing. On the bright side we also had a more intimate experience due to several last minute cancellations. Book this tour on their website. With many architecture cruises and walks to choose from, I went with this one not only because of recommendations, but because it’s the most comprehensive. The tricky part is figuring out where this tour starts; you’ll probably pass by similar tours on the way there. Just keep an eye out for the cruise company logo and take your phone’s directions with a grain of salt — location services can be a little wonky with tall steel structures around you. The tour guide lectures at a fast pace on the architecture along the Chicago river. You’ll learn how architects think about integrating buildings into their surrounding environment as well as how they work around the unique challenges of building on the river, and in some cases the existing rail infrastructure underneath the new structures. 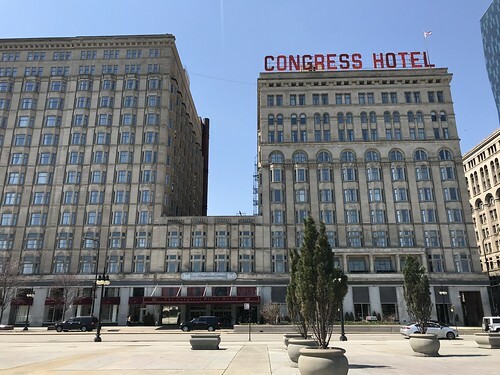 Another common theme is how modern developers adapt and reuse existing buildings that were originally built for, say, a Montgomery Ward order fulfillment warehouse. Complimentary soft beverages, coffee, and snacks are available on the lower deck. Beer and wine are available for an extra charge. Dress warm for this one, the Chicago river is significantly cooler than the city above. Book this cruise on their website. If you keep up with the news at all it’s no secret that Chicago has a problem with violent crime. (Side note: crime isn’t a major concern for most tourists.) This walking tour focuses on Chicago’s dark past as well as places that are allegedly still haunted by it. It’s a fairly long tour; about two hours with a lot of walking and some stairs. There’s a bathroom break partway through so I’d recommend bringing water. The guide didn’t pull out any gory photos or anything though the descriptions were graphic enough that the younger or more squeamish guests might want to steer clear. Book this one through their official website or on Airbnb Experiences — the price is the same either way. Did you know Chicago has series of ad-hoc underground public walkways known as the “pedway”? 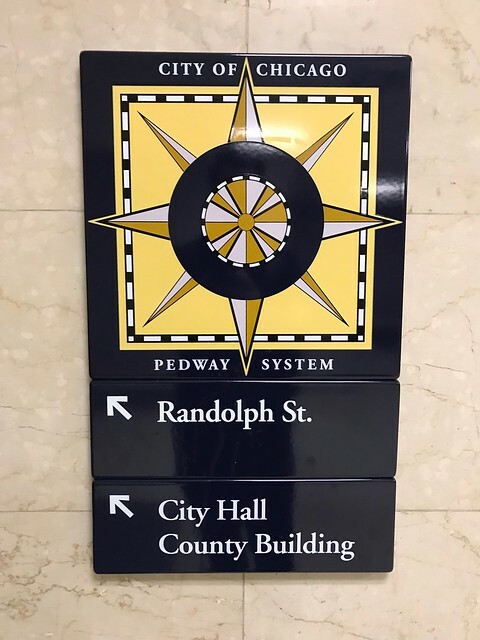 This hour long tour takes you through a few of them, connecting government buildings, malls, three train stations, and more. It’s the perfect indoor walking tour for a day when the weather’s not so great. The tunnels aren’t at a consistent level and some are better cared for than others. Weirder yet, not all of them even appear on any (semi) official map. It’d be super easy for us tourists to get lost down there without a guided tour. Fortunately the tour guide, Margaret, is an incredibly warm and passionate person who knows her way around and loves sharing her knowledge. This one an only be booked only through Airbnb Experiences. 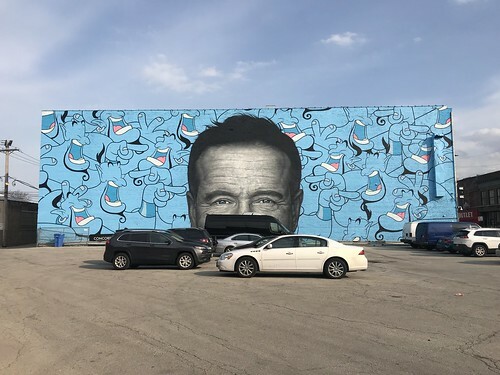 I almost skipped making a visit to Logan Square; it looked so far away on a map. 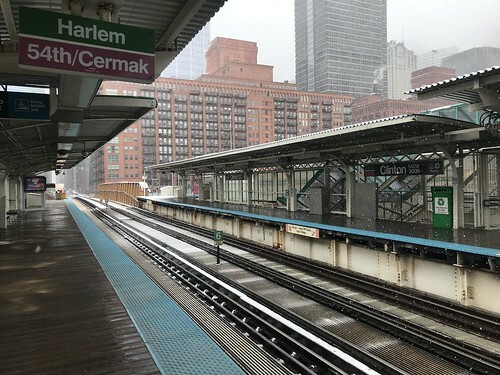 Turns out it’s a fast, if somewhat cramped ride on the “L” from where I’m staying, and there were a few other places I had in mind to visit in the area. So off I went. And I’m glad I did. 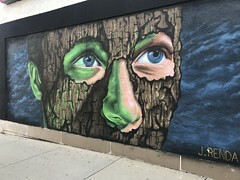 It’s a relatively small neighborhood in comparison to much of Chicago with a lot of local businesses, upscale cafes, and small restaurants. Walking through the area there’s a lot of people jogging, walking their dogs, or riding bikes. And yet if you wander off to a side street you’ll find dirt roads and auto shops. 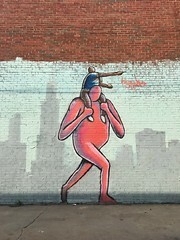 Perhaps it’s a neighborhood where people of all social classes live and work together, perhaps it’s a nightmare of gentrification — most likely it’s a little of both, but what do I know? I was just passing through. 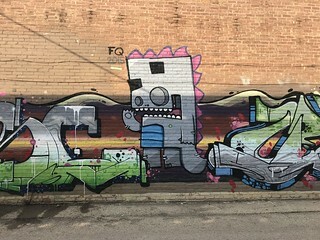 What was clear about Logan Square is it’s got the most street art of any part of Chicago I’ve seen. 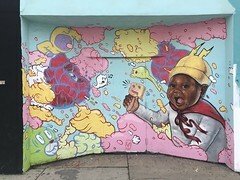 Most notably, the much-photographed “Greetings From Chicago” mural seen above is located in the neighborhood. It’s only a couple blocks from the California stop on the Blue Line. Chicago’s enormous public downtown park on Lake Michigan is technically a collection of public parks. The newest one is Millennium Park which opened in the early 2000′s in order to cover up a sunken Metra train station. 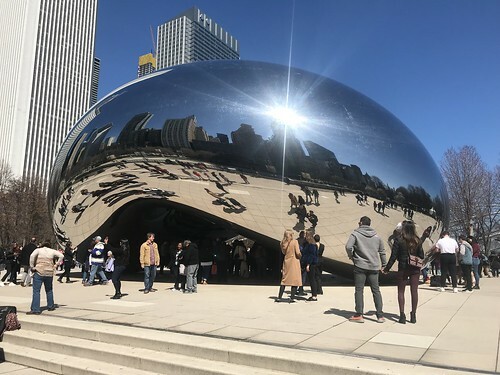 Millennium Park features various modern tourist magnets, the most famous of which is colloquially known as “The Bean.” Technically it’s called “Cloud Gate,” but locals don’t call it that because, well, it looks like a big shiny bean. Let’s be honest here; the locals are right. Many tourist guide books will point out that “The Bean” reflects the Chicago skyline. That’s true from a certain angle — but if you approach on foot you’ll quickly see that it’s like a big warped fun house mirror which reflects anything, including one’s own reflection. If you want you can even walk directly under The Bean, and you’ll be in good company. This big weird sculpture is a popular selfie spot for the tourist crowd, intentional or not. Okay, so that’s just a patch of snow that hadn’t melted yet. But you have to admit it looks much more like a cloud than The Bean does. There’s also a big outdoor concert venue space in Millennium Park, an ice skating rink for winter months, as well as an art installation called Crown Fountain. You may have seen photos or videos of Crown Fountain which features two video screens facing one another displaying photos of faces that occasionally “spit” water at you. Unfortunately Crown Fountain was turned off during my visit. On the east side of the park, a wavy bridge designed by Frank Gehry takes you over a highway to the kid-friendly Maggie Daley Park. With millions of tourists flocking to see Millennium Park each year, every hip fast casual chain you can think of has an outpost nearby: Shake Shake, Protein Bar, Sweetgreen, Five Guys, etc. With Chicago’s combined ~10% sales tax combined with the fact that everything in Millennium Park has a corporate sponsor, this free attraction must be a gold mine for state and local governments. 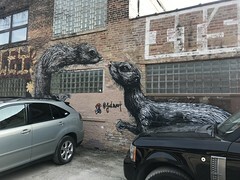 My recommendation: It’s free, very easy to get to, and there’s a good chance you’ll be in the area while visiting Chicago. Why not stop by and take a selfie with The Bean? Everyone else is doing it. It’s only my second experience seeing an immersive theater show, the first being Wonderland in San Francisco. This one is very different; the audience is expected to be a fly on the wall, sticking to the edges of the performance space. The basic concept of immersive theater (or immersive experience) is still so new I’m not sure we have the right vocabulary to describe the different types of shows yet. The main commonality between them is there’s no clearly defined “proscenium,” or edge of the stage. Instead, audiences and actors share a common space. Southern Gothic’s stage is custom built to reflect a suburban home in early 1960′s Georgia. The audience is instructed to stick to the walls, sitting only at benches along the perimeter with red cushions on them. 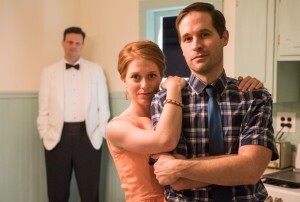 Beverages can be purchased at a bar out on the home’s patio, though a couple small alcoholic beverages are served during the show and audiences are encouraged to pillage snacks served by actors off the tables. Without going into spoilers the play concerns a house party among close white friends celebrating one of their birthdays. One of them is a shady politician, and another friend brings along a (gasp!) African American girlfriend. It’s impossible to follow every story — and many unfold over the course of the evening — but you’re encouraged to pick one or more and dart from room to room to watch them play out. The drama gets increasingly intense as the story continues. At one point while attempting to follow the action, I managed to slip on a particularly slick bench and spilled part of the drink I was holding at the time. I was about to alert a stagehand until I realized none of it landed on the floor — all of it wound up on my own face and shirt. Oops. The clearances between the edge of the area where audiences are supposed to remain and the areas where the actors perform is a very thin one. For this reason the show is unfortunately inaccessible to wheelchair users. Since there’s no way to see the entire story in one viewing it’s impossible for me to review the story itself, though I’ll say I enjoyed everything I was able to see — it was a full or nearly full house so there were moments where I didn’t have enough space to follow parts of the story I would have liked to follow up on. What I can say for certain is the actors did an incredible job of performing while simultaneously ignoring and dodging the audience. Only in one moment did an actor accidentally look me in the eye, but they did not respond to my presence otherwise. The stagehands politely steered audience members out of the way of the actors on a few occasions where they might have crossed paths. My only criticisms are mostly related to the stage itself. Mainly, I wish they’d gone for blocking it out based on the story rather than realism of the home. Certain story elements kept going back and forth between the kitchen and dining room but there was only one tiny passage for audience members between these two rooms which was shared by the actors. A second passage or perhaps a less realistic depiction of a home of the era with a wider passage would have served the story better. There was one tiny anachronism that I doubt anyone else noticed; the telephone was plugged in via an RJ11 modular phone jack. This is an incredibly minor detail, but one that caught me off guard because the rest of the set looked so incredibly realistic. Every other detail like the appliances, stereo, wooden window frames (sans glass) and bathroom fixtures looked perfectly on point for the time period. I realize this is splitting hairs but it only stuck out at me because of the perfection of the other period details. I don’t know if this is a popular opinion but I think traditional theater is a dying form of art. In film the camera can point wherever to highlight the action, whereas in traditional theater it’s fixed to the two dimensional plane in which audiences can move their eyes. On the other hand with something like Southern Gothic the audience is free to move about the stage which affords them a form of agency to follow different stories during a single show. If I could I’d definitely see this play a second or even third time. My recommendation: Southern Gothic is a solid play, though it also feels like a beta version of where theater could head to next. It’s not perfect but on a less cramped stage this could be the first in a new generation of great America immersive plays. It seems audiences agree as Southern Gothic already gained enough attention to be renewed. After the unfortunate sunsetting of Virgin America I’ve found a new favorite airline for inexpensive travel throughout the United States: Southwest. It’s a quirky budget airline that has some unusual tradeoffs. Most famously you can change your flight for no extra fee if you pay the price difference. However there’s a lot more to it than that which I’ll get into in far more detail. This is all based on a combination of research and personal experience. The more you know ahead of your flight the less stressed out you’ll be. Trust me, you want to know all this in advance instead of asking gate agents or Googling “how to board Southwest” in a last minute panic at the airport. Without further ado here’s what you need to know when flying Southwest. Southwest only flies 737′s, and they’re all arranged with 3×3 seating arrangements — in other words a single aisle with three seats on either side. All seats are effectively the same, though you will get more legroom in the emergency exit row. 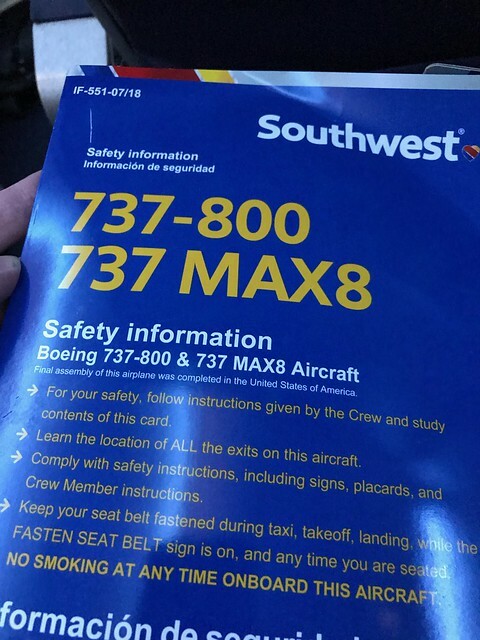 I’ll explain this in much more detail below, but there’s no assigned seating on any Southwest flight. To be clear the onboard wifi does not provide general internet access unless you pay an additional fee. All you get for free are the entertainment options, a neat little flight tracker page, and the option to purchase alcoholic beverages. All Southwest tickets include two checked bags, one normal sized carry on, and one small personal carry on like a purse or laptop. What you chose to bring as a carry on may be important; be prepared to have it converted to a checked bag at the last possible second, so in other words bring anything you’ll need onboard like snacks or medication by stuffing them in your pockets. All Southwest flights include light snacks and beverages. Depending on the length of the flight you may be offered multiple snacks and beverages. For very short flights they may just have pretzels. For around six to eight dollars extra you can order alcoholic beverages like beer, wine, and extremely tiny bottles of hard liquor. Some of the included beverages are actually cocktail mixers, though you don’t have to order liquor to enjoy a virgin cocktail. Obviously if you’re a picky eater or have dietary restrictions, bring your own. The only restriction is you’re not allowed to bring alcohol and drink it during the flight. Last and definitely not least is how you board on Southwest. Unlike other airlines, it’s all open seating. (Side note: remember when movie theaters had open seating?) So what’s important to keep track of here is when you get to board the aircraft. There are four distinct boarding groups which board in the following order: A, families with small children, B, and C. If you’re not in a family with small children, you line up next to the metal poles in the boarding area when your group is called. Next is the number on your boarding pass: 1-30 lines up on one side, 31-60 lines up on the other. Passengers are supposed to work out the ordering among themselves by comparing the numbers on their boarding passes. Families with small children do not line up in this system, but instead form a separate line in an ad-hoc manner. The only restriction is they cannot use the emergency exit row, which for safety reasons is limited to able-bodied adults. Since it’s open seating if you’re picky about your seat — especially on longer flights — it’s to your advantage to board as early as possible. There’s also a second perk to boarding early: remember what I said about carry on luggage? If you’re like me and prefer to travel light with a carry on bag, you might be required to check your bag if there’s no space in the overhead bins. It’s not the end of the world, but it means you’ll have to wait at the baggage claim instead of walking out of the airport. So how do you get into the earliest boarding group? If you fly Southwest a lot, you’ll get bumped up to what’s called “A-list.” This means you not only get the first slots in the A boarding group, but you also get to skip to the front of the TSA security check line. It’s a neat loyalty perk that most of us will never achieve. You can also buy “Business Select” tickets which cost significantly more but also get you into the A boarding group. It’s not a true business class since you’ll share the same seats as everyone else. I don’t think it’s supposed to work this way, but in practice if you’re anywhere in the A boarding group TSA might wave you to the front of the security check line when you show them your boarding pass. Two other factors determine your place in line: when you check in to your flight, and if you purchase the “Early Bird” add-on. You can check in 24 hours before your flight’s scheduled departure online or in the Southwest app. The sooner you check in, the better your boarding position. If you purchase Early Bird you’ll automatically get checked in before the rest of the plebes who didn’t buy business select or have A-list. Lastly here’s a clip from stand up comic Beth Hoyt explaining how not to fly Southwest. If the embedded time code doesn’t work the bit about her bad experience is from approximately 1:44 to 3:25. Back in 2017 I found a crazy cheap flight to Barcelona and built a month-long trip to Spain, Italy, and Greece around that lucky find. The following year my Greek friend invited me to his wedding, so I made a three week trip out of it to Stockholm, the Greek island of Hydra, and Oslo. After weighing the options I decided on the California Zephyr route, which connects San Francisco (really Emeryville) to Chicago. Originally I planned to hop on the train in Emeryville and start heading east. But once I’d figured out where I’d like to stop along the way that plan didn’t make sense; each stop only sees one Zephyr train per day per direction, and in the eastbound direction many of the places I wanted to stop had very inconvenient times like 4 AM. 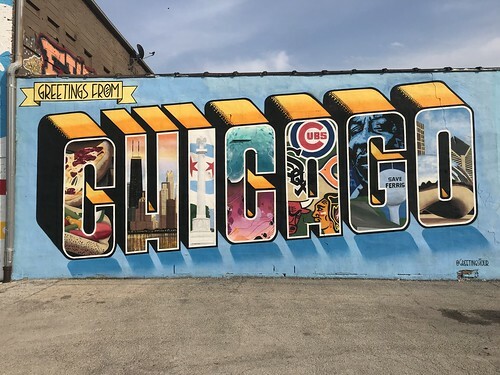 So I reversed my plans and decided to begin “Ameritrip 2019″ by flying to Chicago and heading west, which has much more palatable stop times for all the places I’d like to see. Last night my plane landed at Chicago Midway and I took the “L” to my Airbnb here in the Fulton River District, one stop away from The Loop. I’ll spend almost an entire week here before heading to Omaha, Denver, Salt Lake City, and Reno before returning home. 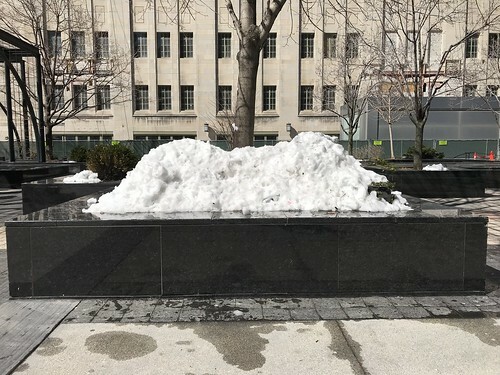 I’ll have more on visiting Chicago in the near future, for now all I’ll say is the weather had a big surprise in store: snow. Yes, it snowed in mid-April. Not only was I unprepared, I’ve never even seen snow fall from the sky in person, only its aftermath. I had no idea what to do at all so I followed the time honored strategy of looking at others and copying them. Here’s to hoping the rest of this leg of my trip will have more vacation-friendly weather. Now that BART’s new “Fleet of the Future” trains have been in regular service for a while, I’ve found myself on them dozens of times. The extra set of doors in the middle is my favorite feature, followed by the significantly improved ventilation. The live map is nice too. But the biggest change is the audio. No more unintelligible operators mumbling what train you’re on or what station you’re arriving at; now a generic female voice clearly states this information automatically. This got me to wonder what else might be different about the way the new trains sound vs. the old ones. Listen below to two recordings I made with my phone on two short morning BART commutes. For comparison, here’s the same ride on a much older BART train. The only automated announcement is the warning that the doors are closing, and there’s also no door chime. The biggest surprise to me listening to these on my headphones is the slight rattling sound. Definitely didn’t notice that when I was recording this and I’m surprised my phone’s microphone even picked up such a small detail. You can tell in both recordings there’s still some squealing as the trains go around the corner from 16th and Mission to Civic Center, though nowhere near as much as with the previous wheel design. I kind of wish I’d made a recording a couple years ago for comparison but I don’t know how that awful sound would have come out on a phone. Lest we forget, the old BART rail screech was so unbearable in the Transbay Tube it was once recorded by an audio designer for a survival horror video game.